These are games I've played online at various and sundry online gaming venues, mostly at websites, some with the VASSAL engine. The one thing they all have in common is that I haven't played them across a table yet -- and I want to. My games collection is growing slowly, but it will surely grow. And as it does, I hope to add more of these titles to the list of games I physically own. 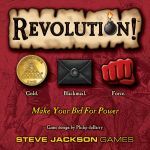 Sid Sackson has always been one of my favorite American game designers. I had the privilege of playing Bazaar some years ago at Brettspielwelt and I was hooked. This is another game that I played at Yucata.de since its addition earlier this year. I like a game with unique mechanics, and Glen More is indeed more than just another tile laying game. Regrettably, the English language version published by Rio Grande Games is out of print, but I am desperate enough to buy a used copy if that's what it comes down to. A recent addition to Yucata.de, a reimplementation of the 2009 title "Kachina." Voluspa is elegant in its simplicity with gorgeous artwork, but thin enough on theme so it won't scare away inexperienced gamers. I think this one was on Yucata.de a while before I came around to playing it. Finca is one game I'd probably hedge my bets on a little bit here; as much as I would like to play a game on a real tabletop, I'm not sure I would buy myself a copy before trying it out that way. Outscore your opponents by collecting scoring sets. Score sets by building your garden plots as large as possible -- but you can't put a garden plot where there isn't already at least an empty plot. Gorgeously implemented at Yucata.de. 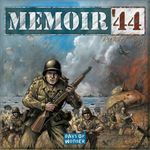 Days of Wonder, the publisher for Memoir '44, has made this game available in an online version with its own client software. The version I've played was downloaded through Steam. Anyone familiar with the Command & Colors system will know most of the mechanics. The wide variety of map boards and scenarios encompass the World War II experience. As of this posting, this game is on its way to me via Amazon.com, though I have only been able to play one game online via the VASSAL engine. That one game was all it took to convince me. "Takenoko" is Japanese for a particular type of edible bamboo shoot. In this game, at Board Game Arena, and which I first became familiar with through Will Wheaton's "Tabletop," you must score points by feeding a panda, planting bamboo, and expanding the bamboo garden -- but not all at the same time. The player who gains the most favor from the combination of Panda, Gardener, and Emperor will rule the day.